Through the integrity of small batch cooking, Cinnabar Specialty Foods has stayed on the crest of flavor while innovating with fresh, clean and organic ingredients. Our goal is as vital today as it was 22 years ago: to tempt home cooks and chefs into incorporating our authentic flavors. We have remained on the forefront of a continually changing market, providing delicious artisan chutneys, savory pastes, marinades, spice blends and dry mixes. Ready to use condiments, seasoning pastes and dry spices. The blending of fine spices is a skill – the recognizing and balancing of the resulting flavors is an art. 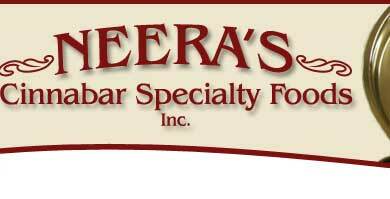 Neera, with her Indian heritage is a master and has created proprietary blends from all over the world for Cinnabar’s customers. As promised by their intriguing, heady aromas, are designed to enhance a variety of foods. 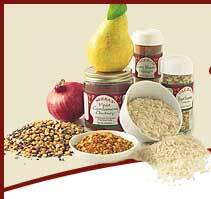 Rice and Dal Mixes, the Spice of Life Series of pre-measured packs of rice and dal, complete with seasonings, will create dishes that can be the centerpiece of a meal or complement the rest of your menu. Simmer Sauces and Liquid Marinades are a great option for people who are searching for alternatives to long home ingredient lists and take away foods. These three exciting ready-to-heat, all natural sauces have the bold flavors you seek in ethnic cuisines. 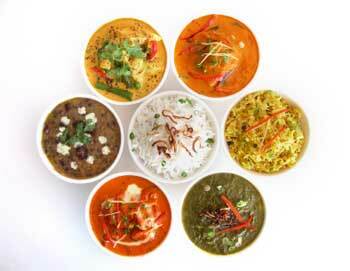 These old and respected condiments originated in India. We make them the old way, from fruits and vegetables slowly cooked with vinegar, sugar and many spices. As Cinnabar’s do, chutneys should enhance the natural flavor of fruit and crown the flavors with exotic and delicate spice accents. 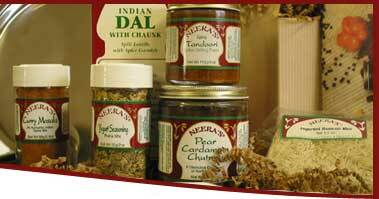 We've combined some of our most popular chutneys, sauces, spices and mixes into some great gift packs!